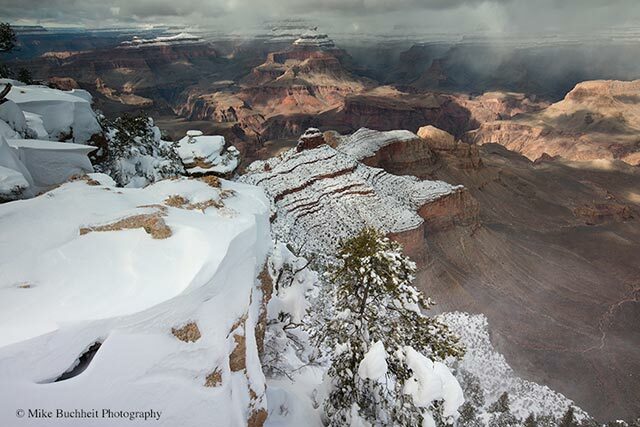 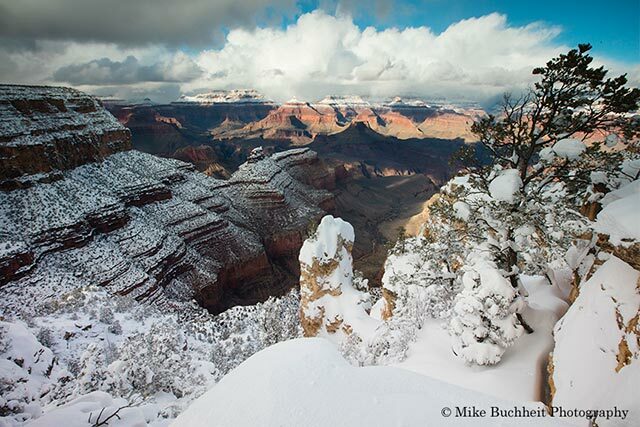 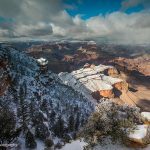 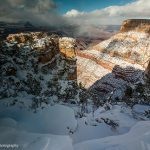 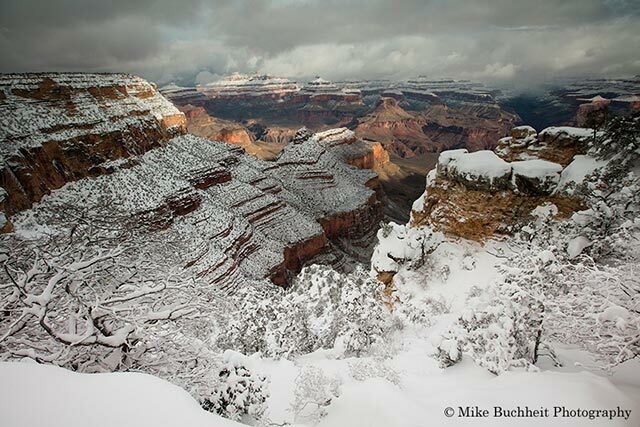 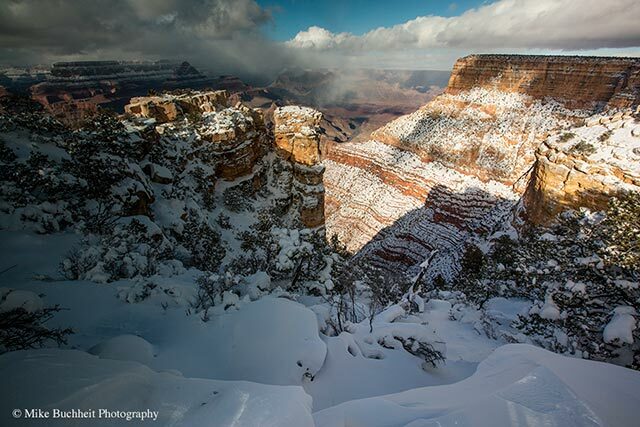 A fierce winter storm lasting five days left the South Rim of Grand Canyon National Park blanketed in nearly three feet of fresh snow. 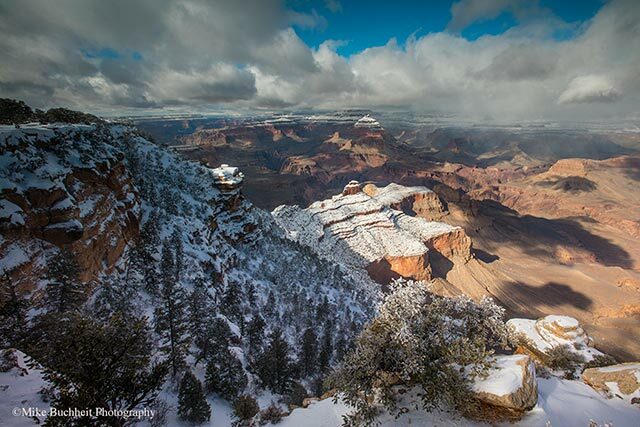 Life in Grand Canyon Village ground to a virtual halt as NPS snow-removal crews struggled to keep roads passable, trail crews battled shoulder-high drifts on the South Kaibab Trail, and bewildered visitors toggled between excitement at witnessing a rare weather event, and frustration with the on-again-off-again views of the canyon. 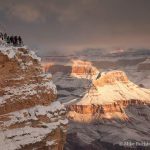 Park residents broke out the snow shoes and cross country skis for their commute to the workplace and to recreate in the picturesque forest that rings the developed South Rim. 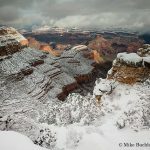 Any photographers lucky enough to make it to the South Rim were rewarded with stunning compositions in every direction. 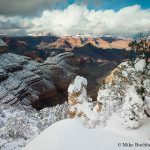 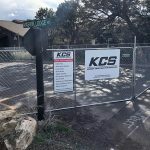 This writer hasn’t seen another multi-storm system batter the park since January of 2006, which delivered a marginally-higher snow accumulation. 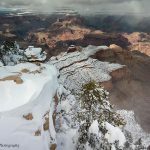 Now, as then, this latest storm was a frosty reminder that we definitely live in snow country, and provided a welcome dose of moisture for a region still feeling the impacts of long-term drought conditions.